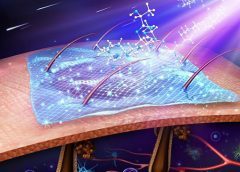 Researchers from Huazhong University of Science and Technology, China have developed a new type of wound dressing, based on a silk protein sericin hydrogel, that can achieve skin regeneration with little to no scar tissue formation. Testing has shown the hydrogel is able to block bacteria from entering the wound, promoting accelerated healing. 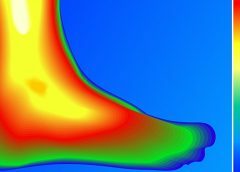 A first of its kind study between RMIT University, the University of Melbourne, and Austin Health, used thermal imaging to predict the size and healing trajectory of recently developed diabetic foot ulcers. BioLab Sciences, an innovator in regenerative medicine technologies, has announced the patent of MyOwn SkinTM, a new, non-evasive, regenerative tissue therapy that uses a patient’s own skin to accelerate the healing of chronic wounds, burns, diabetic foot ulcers and other difficult-to-heal wounds. 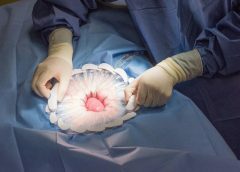 The FDA has approved a wound retraction system created by Prescient Surgical. The company’s CleanCision wound retraction and protection system is a sterile, single-use irrigating wound device that integrates surgical retraction, wound barrier protection, and fluid delivery and removal to protect against surgical site infections (SSIs). On December 28, 2017, the FDA gave approval for the Dermapace System, a shock wave device intended to be used in the treatment of chronic, full-thickness diabetic foot ulcers. The device uses pulses of energy, similar to sound waves, to mechanically stimulate the wound. Read more. 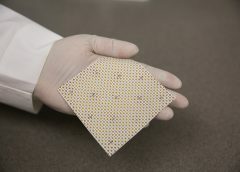 Ohio State University Wexner Medical Center researchers have created electrically charged bandages that can combat antibiotic resistance, enable healing in burn wounds, and help prevent infections. When the dressing comes in contact with bodily fluids it becomes electrically activated. Findings from a randomized controlled trial revealed that patients with a diabetic foot ulcer, who received probiotic supplementation for 12 weeks, experienced faster wound healing coupled with an improved glycemic and lipid profile compared with patients assigned a placebo. Read more. 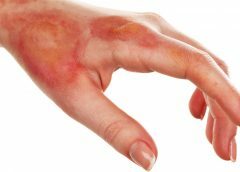 An international research team led by Johns Hopkins University School of Medicine is seeking approval from the FDA for a topical gel they have created from oral blood pressure pills that has shown to be effective in the healing of chronic skin wounds in mice and pigs. A report of the team’s findings have been published in the Journal of Investigative Dermatology. Read more. Swift Medical, a wound care company based in Toronto, has launched its AutoDepth technology, a mobile phone app that measures the depth of wounds by waving it over the injury without ever making contact. Read more. 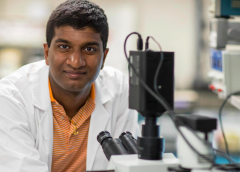 Ashwinraj Karthikeyan, a student in UVA’s School of Engineering and Applied Science, presented his invention, Phoenix-Aid – a new type of five-layered wound care technology set to revolutionize how chronic wounds are treated in developing countries and impoverished areas around the world, at the Collegiate Inventors Competition in November. Read more. 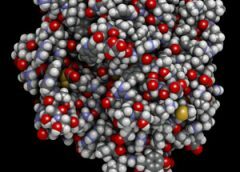 Jitka Petrlova at Lund University, Sweden, together with Peter Bond’s team at the A*STAR Bioinformatics Institute, has discovered a strategy that the body uses to neutralize invading microbes. 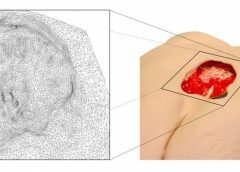 This finding is a critical development in fighting bacteria in skin wounds. Read more. 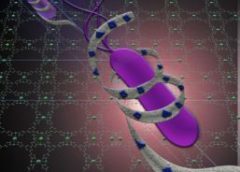 By some estimates, bacterial strains resistant to antibiotics — so-called superbugs — will cause more deaths than cancer by 2050.